Peloton Productions is an award-winning full-service film and video production company based in the San Francisco Bay Area. Peloton Productions works with an outstanding group of producers, directors, camera men and women, writers, editors and musicians. Our contacts for creative productions are national and international in scope. Our high standards of production quality and integrity have allowed us to produce award-winning programs covering a wide range of subjects. Please contact us so we can learn more about you and your project. Peloton Productions offers value-conscious service and competitive rates. We have access to state of the art equipment, as well as sound and lighting packages. Our support services include editing, graphic design, DVD design and authoring, window dubs, and logging. Vertical Frontier : Narrated by Tom Brokaw. From John Muir in the 1860's to the super athletes of today, "Vertical Frontier" is the character-driven story of the art, sport and philosophy of climbing the legendary big walls of Yosemite. The story is told by the climbers. Their ranks include David Brower, Royal Robbins, Yvon Chouinard, Jim Bridwell, Lynn Hill, Todd Skinner**, Hans Florine, Dean Potter and many more. 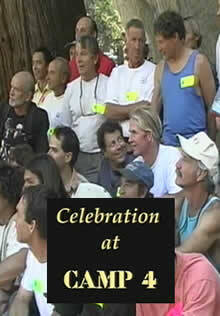 Highlights from the climbers reunion at Camp 4 in Yosemite valley, California on 25 September 1999, organised by the American Alpine club and hosted by Alison Osius. 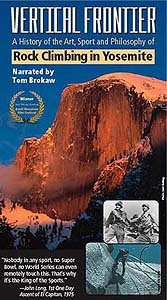 Featuring lectures by the living legends of Yosemite climbing. Staying Put or Moving On : a website which uses short films to talk about where and how we'll live as we get older. Where and how are we going to live when we get older? 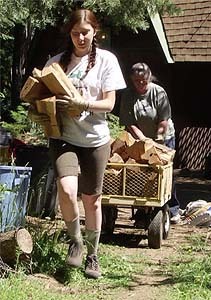 What is going to happen to those of us who don't have - or can't afford - built in caregivers? Through a close-up look at housing alternatives, interviews, illustrative movie and television clips, and the personal quest of the filmmaker, Staying Put or Moving On explores different solutions to these questions from around the country. 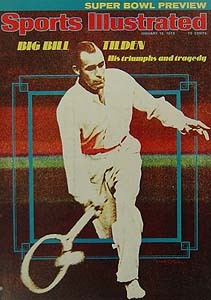 Big Bill Tilden was based on the Sports Illustrated cover article and subsequent book by Frank Deford. In 1945, the 52-year old Tilden and his long-time doubles partner Vinnie Richards won the professional doubles championship they had won the United States amateur title 27 years earlier in 1918. COLLABORATION. CREATIVITY. DON'T TAKE "NO" FOR AN ANSWER. BE FAIR. FEED THE CREW™.